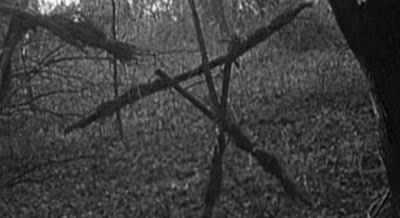 When The Blair Witch Project was released, there was a surprising amount of speculation, discussion, and chills that came along with it. Part of this can be attributed to the film’s outstanding marketing campaign, but also to the fact that this movie is in fact bone chillingly scary. The camera may make you feel nauseous and there is a fair amount of boredom to be had, but when all is said and done, I can easily rank this film as a horror classic. Heather Donahue, Michael Williams, and Joshua Leonard (all using their actual names) are three film students who are attempting to make a documentary about the legend of the Blair Witch. They head into a forest in Maryland where they come across strange dolls and rock formations during the day, and are tortured by an unknown force at night. Tempers flair and fear overcomes the helpless film makers, who begin to realize that they may never leave the woods. There is a lot to think about with a movie like this. What is causing all of this terror? Is it of this world or something spiritually sinister? What is lurking in the darkness? Why can’t they get out of the forest? All of these questions are left up in the air for viewer interpretation. This isn’t just a scary film, it’s a thinker’s film. Looking at it as three people lost in the woods and terrified would be a waste. Think of all the possible explanations as to how things are happening and why. This makes re-watching this film a must to see from different angles and points of view. This is a movie that is very important to me because it was made so cheaply, yet still very well and became very successful. It can be put on the same level as Clerks. This film can also be used in an argument that some of the greatest horror movies have been made on a shoe string budget. Just look at the original Halloween and my recently reviewed Night of the Living Dead. 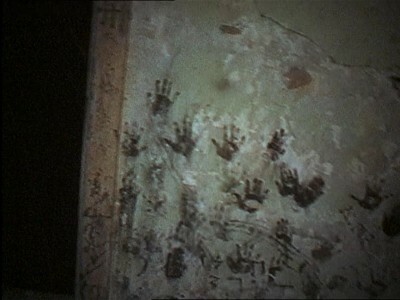 The thrills of The Blair Witch Project all come from what is not seen. The imagination can be a terrifying thing. Horror films nowadays rely heavily on special effects specters and creatures that may make me jump, but rarely leave me scared for days to come. What is unseen in this film can haunt you for a good long time. I will admit that I got bored at certain points. The transitional period from normalcy to horror kind of took a long time which gives this a slow burn type of feel. That would be acceptable if the movie was longer, but it only runs an hour and twenty minutes. This makes the amount of time I spent gritting my teeth in suspense and terror go by quicker than I wanted it to. Stil, the movie packs a major punch. 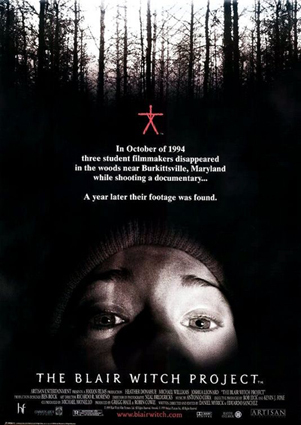 The Blair Witch Project has become a landmark film that has to be respected even if you don’t particularly enjoy it. The ending will leave you speechless and the visuals will leave you feeling dizzy. If you can sit through a lot of yelling and chatting, you will be rewarded with memorable implicit scares that will have you thinking about the plot, characters, and your own safety.